When: The race is every Wednesday @ 6:30pm. Rain or shine. Best to arrive at 6:15pm. Where: We leave from The Blue Light - 1979 Union St, San Francisco, CA 94123. How do I register? Registration is upon arrival. $5.00 cash. We usually don't have change. What is the course? 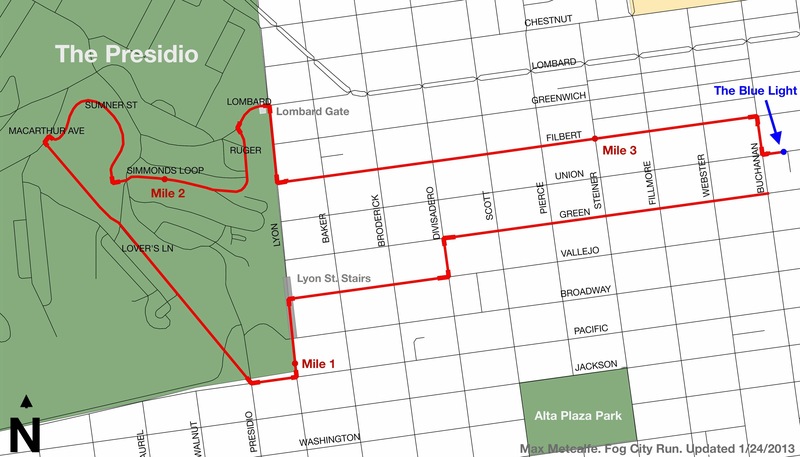 A hilly 5km(ish) route in the Marina / Presidio - Map / Strava Segment. How many people come? 5-20. You can view the race results here and our Strava. A locked closet is available for any extra belongings.